Calling all artistic K-12 students: If you (or someone you know) is ready to show off your creativity, ESS has the perfect opportunity for you! 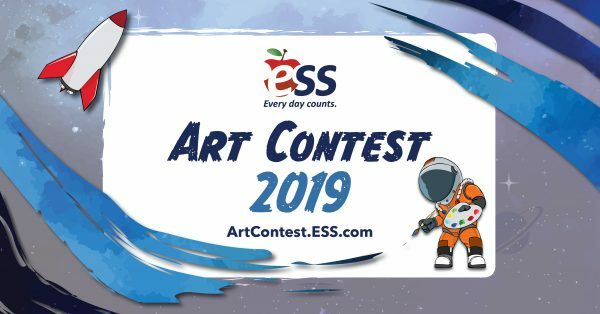 We’re excited to announce the ESS Art Contest 2019. To enter, simply fill out the web form at ArtContest.ESS.com and submit an original drawing or painting based on the topic: What would it be like to have class in outer space? Winning students from four grade groups will receive a $500 gift card, plus a $500 gift card for their school! Submissions must be received by April 8th at 8:00 pm EST. Winners will be announced on April 29th. For more information and full contest rules, please visit ArtContest.ESS.com.